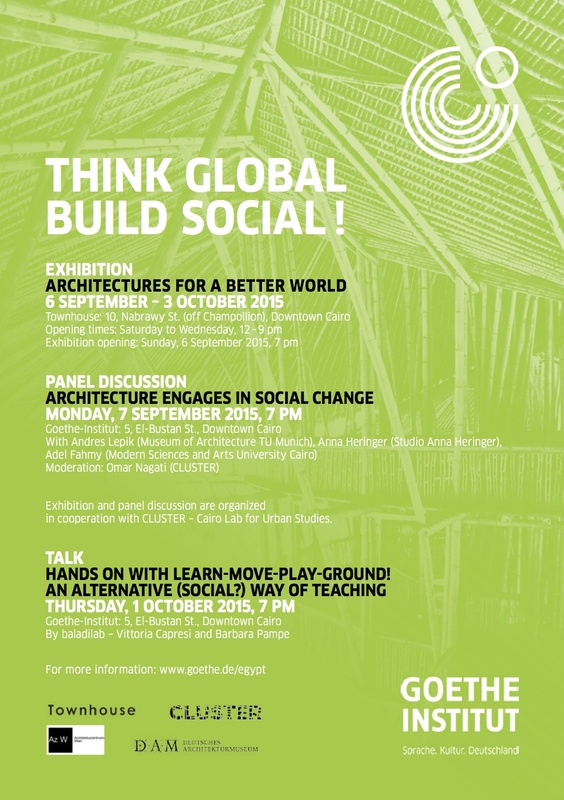 LMPG is part of the exhibition THINK GLOBAL BUILD SOCIAL in Cairo. 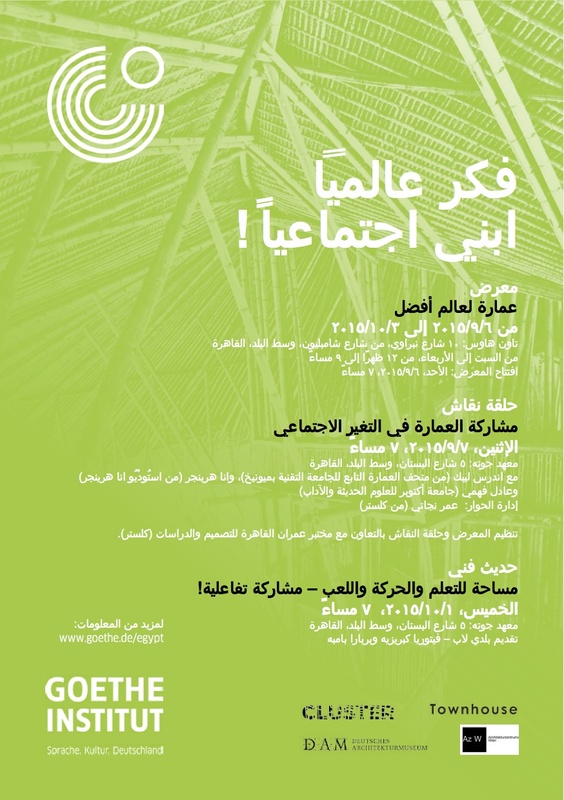 baladilab will give a talk at the 1st of october at 7pm at the Goethe-Institut in Downtown Cairo in occasion of the exhibition THINK GLOBAL BUILD SOCIAL at Townhouse. See you there. We will present the LEARN-MOVE-PLAY-GROUND projects realized in Cairo between 2012 and 2014 discussing the importance of such projects for the Egyptian and German participating students, and questioning the social value of such interventions.